Pepsi is unleashing emojis on its packaging as an answer to Coca-Cola’s highly successful ‘Share a Coke’ campaign. 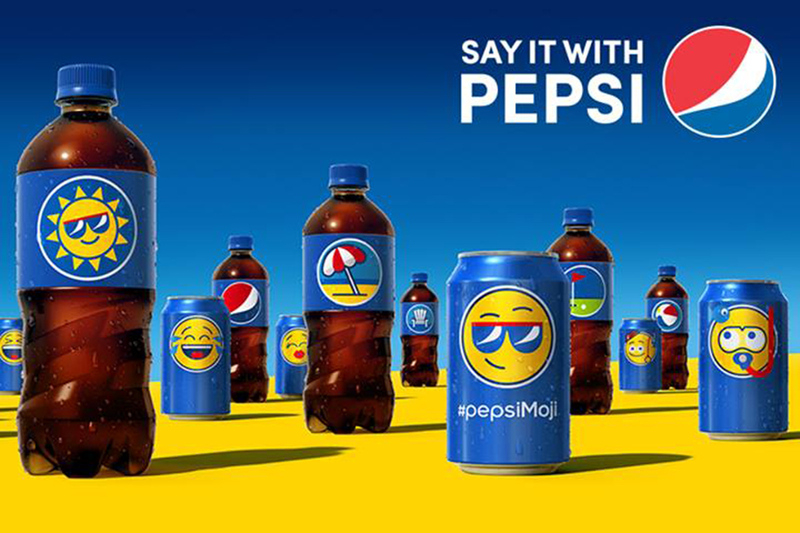 The emoji-clad ‘Say it with Pepsi’ campaign is to be launched in the summer of 2016 across over 100 markets. 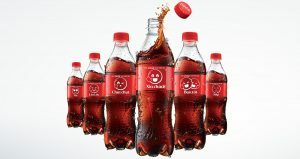 In Asia, Coca-Cola beat Pepsi to the game with the debut of its ‘Share a Feeling’ emoticon campaign in Vietnam in July 2015. 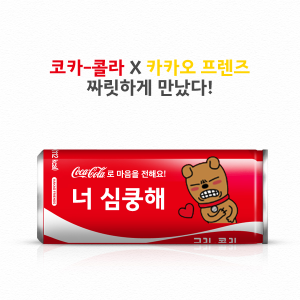 Share a Feeling is an extension to the ‘Share a Coke’ program, which was first introduced in Australia in 2011. 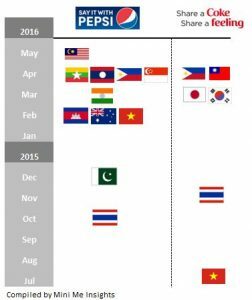 ‘Say it with Pepsi’ marked its Asian debut in Thailand in October 2015. 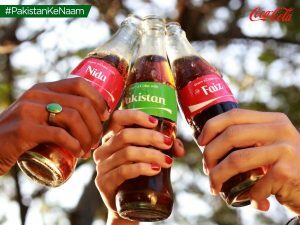 In November 2015, one month after PepsiCo’s launch in the country, Thailand became the next market for Coca-Cola ‘Share a Feeling’. The table below provides a summary of the emoji packaging launched by Coca-Cola and PepsiCo in the Asia Pacific region from July 2015 to mid-May 2015. As part of the global roll out of ‘Say it with Pepsi,’ the campaign has now covered all of the Indochina market, two major countries in the Indian subcontinent (India and Pakistan), Australia and several other countries in Southeast Asia (Singapore and the Philippines) with most of them within the February to April 2016 period. 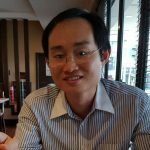 In contrast to Pepsi, the ‘Share a Coke’ is still going strong and there is less urgency to go ahead with ‘Share a Feeling.’ This partly explains the rather slow introduction of the ‘Share a Feeling’ across the Asia-Pacific region. The two countries that are notably absence from the emoji war waged between the two beverage giants are China and Indonesia. 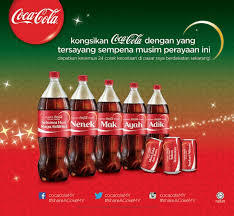 The upcoming Ramadan (5 June 2016 to 5 July 2016) may well see Coca-Cola continuing with the ‘Share a Coke’ campaign in the world’s most populous Muslim country. In view of the possibility of soda tax in several countries in the region including the Philippines and India, the emoji campaign will hopefully slowdown consumer migration to other drinks and the impact of the proposed taxes. 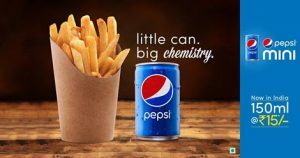 In India, Pepsi is taking preparing itself for the soda tax by launching new mini cans (150ml) priced at Rs 15 to coincide with the debut of the PepsiMoji campaign in March 2015. Ultimately, the emoji packaging will bring the two Colas head on with each other.